Domek położony jest 200 m od Hospices de Beaune na starych murach obronnych, jest idealnie położony i można zwiedzić miasto na piechotę. - w pełni wyposażona kuchnia (lodówka, piekarnik, zmywarka), otwarty salon z 1 kanapą, która może służyć jako dodatkowe łóżko. - pokój z około 12m2 (dwa pojedyncze) z łazienką z prysznicem. - pokój 20m2 (łóżko małżeńskie) z łazienką. - łóżeczko dla dziecka / krzesełko na życzenie. Dostęp do prywatnej taras, meble ogrodowe. Lokalna kolarstwo: można zamontować 4 rowery. 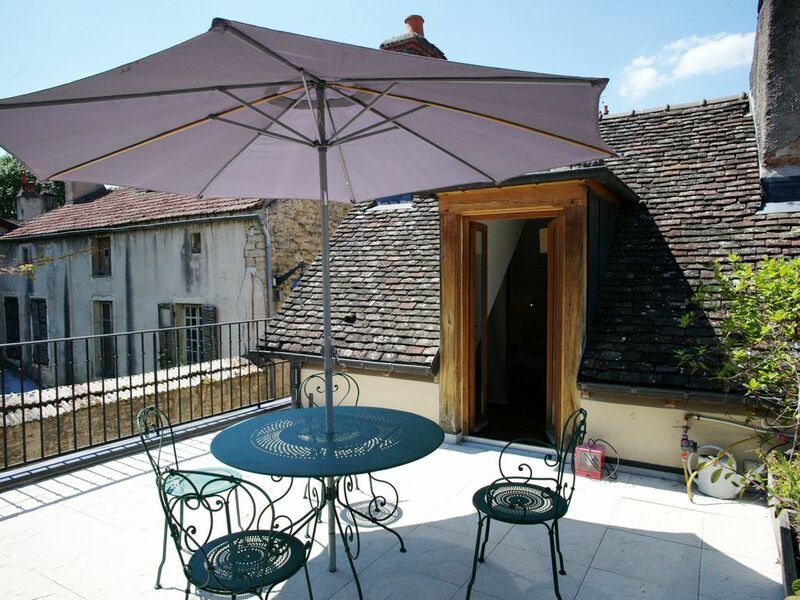 A great little hideaway and the best possible location in Beaune. Fully equipped, comfortable and quiet. I would absolutely come back. There were 2 of us staying in the house and we had plenty of space. When it became cooler it was very pleasant to have our morning coffee on the terrace. The kitchen was well equipped and had basic pantry items. I appreciated large shower rooms. The host was helpful and willing to accommodate us. His suggestions re restaurants were spot on and we enjoyed those restaurants very much. We would definitely stay in this house again, especially when it is not so hot! Fantastiskt boende! Härlig miljö - både interiört och exteriört. Fantastiskt läge mitt i Beaune i en charmig gränd; smakfullt inredd våning. Takterrass med utsikt mot Hotel le Dius glaserade torn. Our host was very helpful and friendly, going out of his way to ensure we had everything we needed. The private roof terrace really makes this place special.